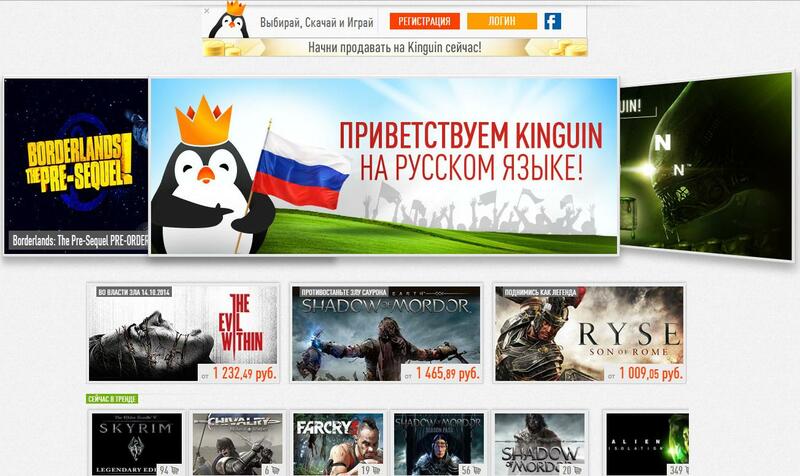 Blog - Kinguin Now In Russian Language! Kinguin Now In Russian Language! The newest addition to the Kinguin family is Kinguin.Ru! Take your time to welcome it and say "привет" (hello). Due to the rate at which the number of customers is growing, Kinguin has to adapt and learn even more languages. The twelfth available language is Russian and soon more will be available! So all you Russian speaking friends, go ahead and check it out for a webpage designed specially for you! Don't forget to like Kinguin.ru for more information in Russian language.